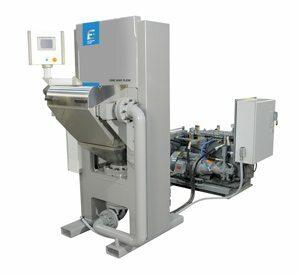 With the invention of the Abrasive Flow Machining process, Extrude Hone Corporation developed an entirely new fi nish machining tool – a plastic, abrasive laden polymer with very special properties that allow it to selectively and controllably abrade surfaces that it flows across. A broad family of these abrasive medias are available to achieve a wide range of results from fine honing to aggressive surface removal. With standard Abrasive Flow Machining the abrasive media is extruded back and forth through a workpiece. With ONE WAY FLOW Abrasive Flow Machining, the abrasive media fl ows through the tooling and workpiece in only one direction.